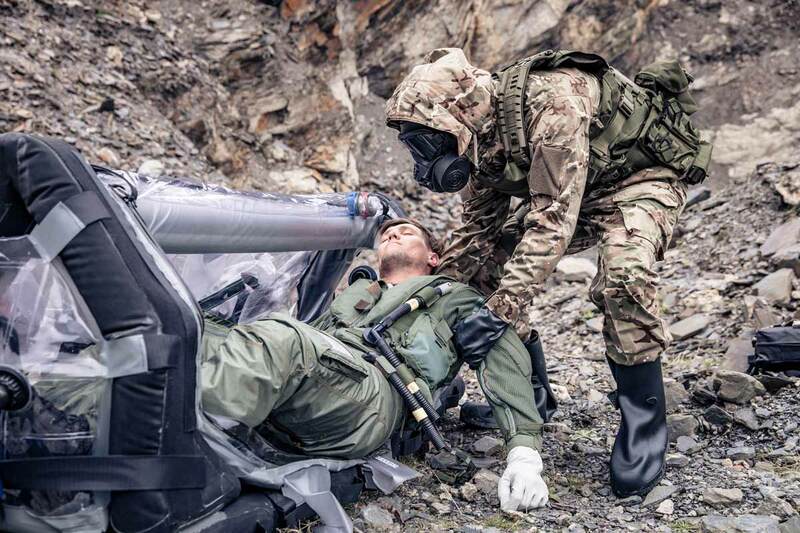 A new Bio Skin protective suit for CBRN protection will be unveiled by safety solutions provider Survitec at DSEI in London next week. Survitec's new SONICS Bio Skin and Bio Shell protective suits—designed in conjunction with GORE, were designed specifically with the Chemical, Biological, Radiological and Nuclear (CRBN) market in mind. 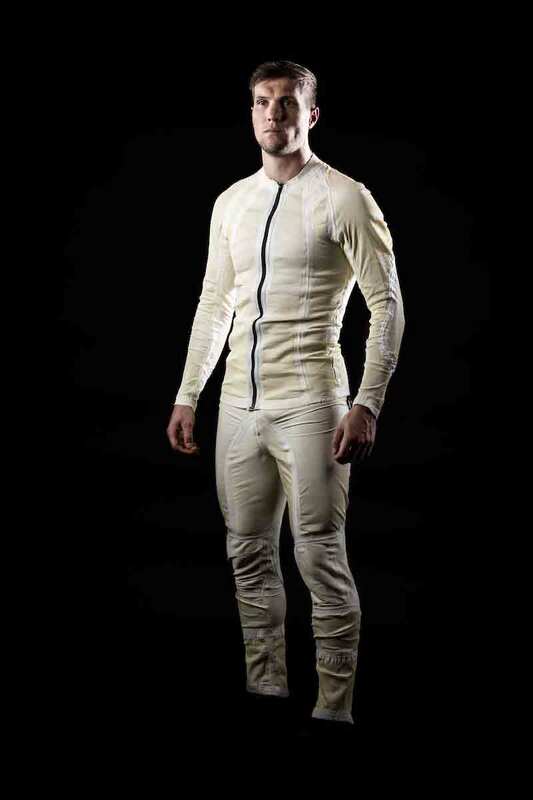 The Bio Skin suit is engineered to be worn underneath any outer garment. Survitec says it is a lightweight, discrete and breathable stretch fabric with a unique design that offers exceptional mobility, comfort and a new level of CBRN protection. Unlike traditional carbon, there is no drop-off in performance due to wear or laundering, it keeps its full integrity even when exposed to sea water, petroleum, oils or lubricants. Survite says the suit offers full protection against toxic industrial chemicals, non-traditional agents and blood-borne pathogens such as Ebola and HIV. The Bio Shell utilises the GORE's CPCSU-2 Flex Fit technology along with the same protective properties applied to the Bio Skin and is under half the weight of traditional carbon-based suits. It features a lightweight customisable outer layer that leverages integrated stretch fabric that delivers improved mobility, reduced heat stress, and increased system level protection. At the heart of this technology is the GORE CHEMPAK Selectively Permeable Membrane (SPM). Used in both the Bio Skin and Bio Shell, the SPM is engineered to offer durable and broad protection in CBRN situations combined with a reduction in thermal burden. This barrier technology allows high levels of moisture vapour (perspiration) permeability, while significantly restricting the ingress of a broad range of hazardous substances. Also on display at the Survitec stand at DSEI is the new SONICS MilPod, a specialist man portable stretcher used for extraction and treatment of a casualty in a CBRN environment. With more than 20 design improvements, including maritime capable flotation and significantly reduced bulk, Survitec says the MilPod is a huge step forward in CBRN mobile containment and recovery. “Suppliers to the CBRN market have a unique challenge and the threats they face are unprecedented and evolving each day,” says Paul Parry, Survitec CBRN business manager.